To get kitty to eat you may have mixed in some goodies such as chicken, tuna or some other tasty morsels. The problem with that is you’ve now increased your cat’s taste expectations and she’ll be less likely to eat food without the added yummies. Unless your veterinarian has instructed you to supplement the diet, don’t try to trick your cat into eating her normal food by adding table scraps. For more specific information on mealtime issues and nutrition, contact your veterinarian because he/she knows your cat’s specific health concerns, life stage and body condition. This article is not intended to replace proper veterinary care and nutritional guidance provided by your own veterinarian. 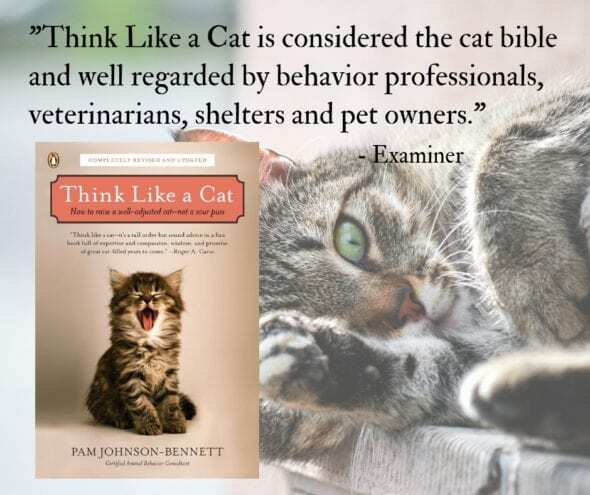 For more information on cat behavior and training, refer to any of the books by best-selling author Pam Johnson-Bennett. 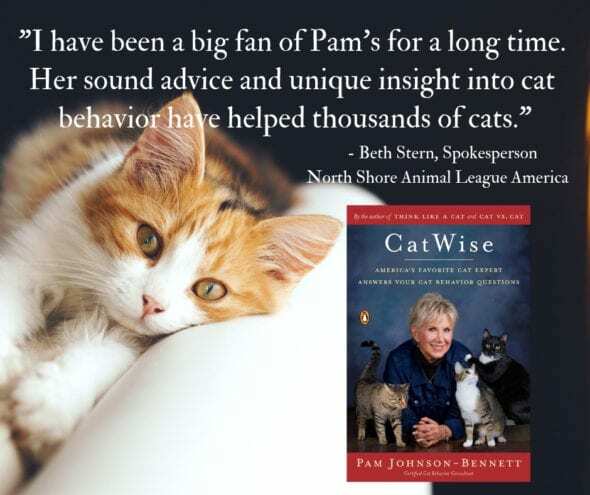 Pam’s books are available at bookstores everywhere, through your favorite online book retail site and here at our website.